The Almighty lord has innovative and spell bounding ways of surprising his creation: mankind. The omnipotent and omnipresent is not only the best artist but also the best creator when it comes to talented individuals. It is amazing to note the list of prodigies that he has given, form, shape and content and send to Earth to glorify her. Tiger Woods or Eldrick Tont Woods is no exception. He was born to shine and thus he did. This pro golf player has made it big not because of any influential background but because of his own potentials, that has, and will continue to awe all crisscrossing the globe for times to come. Let’s peep a little into the eventful life of this Cablinasian, a term coined by none other than Tiger himself, is an amalgamation of the diverse origin. This golfer started his rendezvous with golf as early as two. Exactly that’s right. The journey of this golfer initiated when he was a little toddler. The life of Tiger Woods is adorned with medals and prizes by the time he was merely eleven. The teen years of Tiger Woods also display something very similar. One will simply be awestruck if one gets a list of the recognition he enjoyed from the very early days of his life. 	He shot 48 over nine holes over the Cypress Navy course at the age of three. 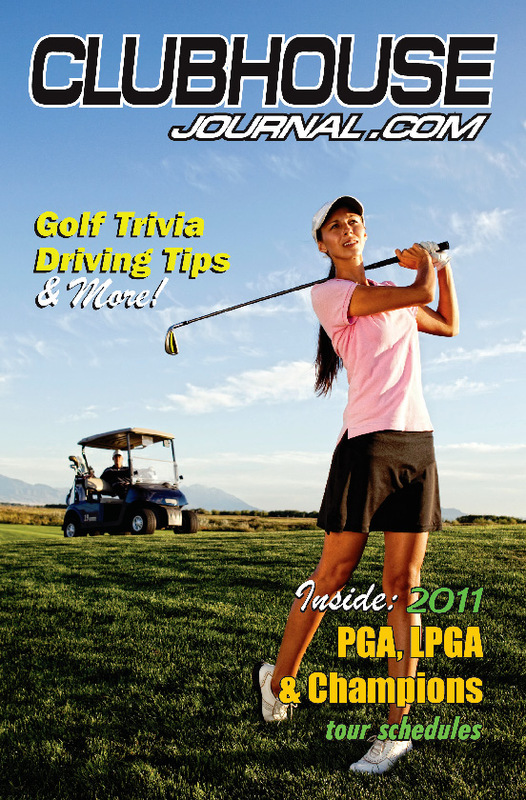 	He had made his way to the “Golf Digest” and ABC’s “That’s Incredible” when he was only five. 	Tiger participated and emerged the winner in the Under Age 10 section of the Drive, Pitch, and Putt competition, held at the Navy Golf Course in Cypress, California when not even seven. 	When he was eight he already had the honor of winning the 9–10 boys’ event at the Junior World Golf Championships. 	He won the Junior World Championships six times between the time 1988 to1991. The glory continues. At the age of 11, Tiger Woods first defeated his father and from then on that became the norm. This splendid golfer has by the virtue of his potentials and rigorous practice effectively proved the maxim, morning shows the day. To know more go through the next post of the making of Tiger Woods. Your interest in different things develops as you grow older. However, this interest on one of the things very soon becomes your passion, which drives you towards choosing the same as your career. The same was the case with the legendary golf player Tiger Woods. If you go through the career graph of the player, you will come to know that he started his career as a golf player at a very young age. No one can force any person to choose a field which he does not possess any interest in. Woods was determined enough and he was clear about his career goal. His name and fame in the sports arena is the result of his self-determination and dedication that he showed in shaping up his career as a well-established golf player. •	1996: The year plays a great role in the career history of Tiger Woods. This is the year when he was declared the first golfer to win the U.S. Amateur titles consecutively for the third time. He also won NCAA individual men’s championship and came out as a ripen fruit of the golf arena. The same year marks his beginning of signing the endorsement deals. In 1996 itself, he was voted as the Sports Illustrated Sportsman of the year. •	1998: The year marks his 19 scores out of twenty, after which he was given the No. 1 world ranking. •	1999: For the second time in three years after 1997, Tiger Woods was voted the PGA player of the year and Associated Press Male Athlete of the year. •	2000: He won the British open by 8 strokes in this year and acquired a prestigious stand by completing the career Grand Slam, being the youngest player ever to make such a reputable accomplishment. 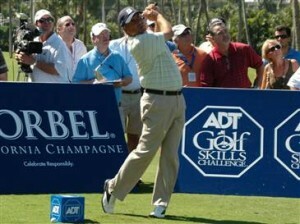 Monday, the 15th of November is the day decided for the 2010 ADT Golf Skills Challenge. The Breakers in Palm Beach, Florida is the spot where all the teams are supposed to report. Dustin Johnson and Rickie Fowler, the members of the U.S. Ryder Cup Team will be leading the expert PGA tour golfers to the competition field. The four teams to be participating in this challenge are Rickie Fowler/ Scott Verplank, Fred Couples/ Dustin Johnson, Ricky Barnes/ Wayne Gretzky, Mark O’Meara/ Nick Price. All the teams will settle themselves and be ready for shot making as well as the ‘Reverse Scramble’ format as designed by the higher authorities. 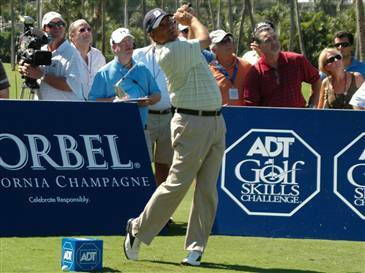 The ADT Golf Skills Challenge will be telecasted on the NBC, the golf news channel on 1st January, 2011, Saturday and 2nd January, 2011, Sunday. The golf crazies will get an opportunity to watch the telecast from beginning to the end with full enthusiasm as it will be the first weekend of the next year. With more than 115 years of experience of a combined PGA Tour, Verplank, Price, O’Meara and Couples are the veterans who have won around 50 total PGA Tour. The come off of Johnson and Fowler to U.S. Ryder Cup Team because of its minute loss to Europe last month is the attraction of the challenge this year. The novel thing that is coming into vision this time in the ADT Golf Skills Challenge is the emergence of the team of Barnes which consists of the players of 20-somethings, joined by Gretzky. When the experienced players challenge the ripen ones, it is something expected, but in this season the youngsters will be challenging the pro players, which will be the best thing to watch. The mainstay traits will be followed by the ‘Reverse Scramble’, comprising the seventh and the eighth skill. If you want to see something adventurous, wait for 15th November, 2010 to watch the most highlighted golf event of the year. Scandals are the biggest nightmares of a celebrity. Be in sports or films or any profession, scams and scandals can simply ruin one’s reputation into bits and pieces. As a matter of fact, sports scandals rarely pop up and do not even hit the major bulletins. But the ones that strike bring tough luck for the sportsperson in question. One such personality is Tiger Woods who got entangled in almost an unending hassle. Finally, a sigh of relief has prevailed over his fans. 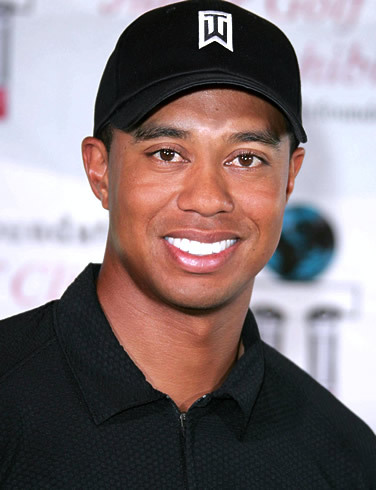 The Tiger Woods scandal has been considered the most popular one in the list of golf news scandals. Well, it’s all the massive media hype that brought dire consequences for this Golf legend. Somehow it became public that Tiger Woods was involved in an extramarital affair and this led fuel to fire. For millions, it was a bolt from the blue. The fans got disheartened and bewildered at the same time when they came to know the darker side of their idol. The sports icon Tiger Woods, the family man, was declared guilty. Multiple relationships of Woods came to the limelight in almost no time when a cocktail waitress in San Diego visiting the 2009 US Weekly came up with the claim of a two and a half year affair. Another woman came forward with a similar claim. Well, these didn’t take much time to shatter the reputation of the world’s best golfer. It was the newspapers, televisions, radios and even the Internet where Woods was almost turned to a subject of mockery. In fact, people are now led to believe that the decline in his performance is all due to the curse he took upon himself. Well, the paparazzi were a bit disappointed by Tiger this time. The car crash right into a water hydrant simply smashed their opportunity to get some real spicy snaps of Woods. H was trying to fly past a golf club brandishing Elin Woods. Instead the gossip diverted towards digging photos and information about the master’s mistresses. Adding up all such disgusting aspects, most of Woods’ fans are still perplexed. Well, they are now offering prayers to the Almighty for seeing Tiger once again smashing the ball with his magical swing technique. If there is any successful ruler of the kingdom of Golf, he is none other than Tiger Woods. His omnipresence has created hype at diverse corners of the globe. Be it in the media gossips or in the sprawling golf courses, Tiger Woods has become an integral part of the daily bulletin. No matter how powerful his fights have been, he has always been subjected to intense scrutiny. Despite, this invincible personality has been able to exercise his powers and win hearts of millions. Now, the question remains as to whether Woods will be deeply affected by the media hype or regain his dominance in his business. The contributions of Tiger Woods seem to be countless. Although his career kicked off with a shocking defeat against Nike, the victory at Augusta in 1997 shattered all records and stunned millions. It was his first major Championship that brought Tiger in the limelight. Successive triumphs followed and people were almost accustomed to see this man going on and on. Prior to closing of the twentieth century, the USPGA bagged him more fame. Next came his ‘annus mirabilis’, that is, the year of wonders – 2000. The year 2000 was indeed special for Woods since he started working on his swing changes. Although a temporary dip in performance was witnessed, Tiger came out with flying colors clutching the Masters and Open in 2002. Victories ushered in his reign from 2005 to 2008 when the master added six majors to his list of achievements. However, a knee injury kept him out of news for a few months. But once he re-entered the arena, all lights and cameras were once again turned to Woods. According to the initial news reports, Tiger Woods was said to have been encountered a major car crash. Golf lovers and millions of fans were flabbergasted on coming across this unfortunate incident. Well, it was once again a 6-month break, and Tiger was finally back. But this time, he couldn’t make it possible to hold on to his top position. Since then, Tiger has been running with a slower pace and trying tooth and nail to get back to his former position.